Having a séance? Or just want to set the mood for some eerie yet great magic to follow? 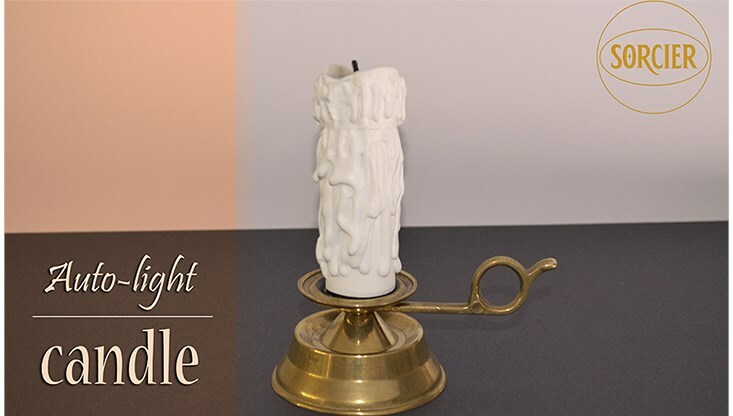 At your command, this candle automatically lights up. Easy to use -- it uses two common batteries (18650 and 12v) and a remote control. Height 16 cm, thickness 3 cm. Supplied with solid brass candle holder.